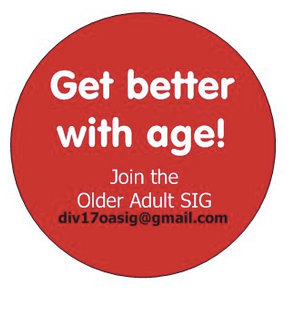 Division 17’s Older Adult Special Interest Group (OA-SIG) announces a Call for Applications for the OA-SIG Social Justice Award. The monetary prize associated with this award is $100.00. This award will be granted to a doctoral student in counseling psychology who exemplifies social justice and advocacy for the older adult population. The nominee’s commitment to social justice must be demonstrated though practice, research, volunteer work, or professional service in the field. Please forward all application materials to div17oasig@gmail.com by Friday, May 15, 2015. Nominees must be a member of Society of Counseling Psychology and be a student in good standing in a Counseling Psychology doctoral program. 300-500 Word Statement describing commitment to social justice. This statement should describe the applicant’s exemplary commitment to areas of social justice. Please provide specific examples of social justice including, but not limited to, academic projects, research, volunteer work, and field experiences. Also, address how one’s social justice experiences contribute to the future of Counseling Psychology. Only complete applications will be considered for this award. Please email all materials to div17oasig@gmail.com. Questions and other communications may be sent to the OA-SIG Awards Committee at div17oasig@gmail.com. This entry was posted in Uncategorized on April 8, 2015 by div17oasig.